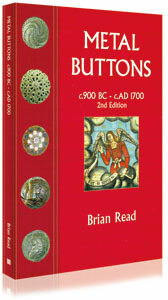 This book examines and identifies metal button-like objects and buttons dating between 900 BC & 1700 AD and are subjected to a detailed manufactory analysis, each being described in both text & illustrations. Although not foolproof, this information is essential for the detectorist, dress historian, button collector, archaeologist or anyone with an interest in dating a particular button. 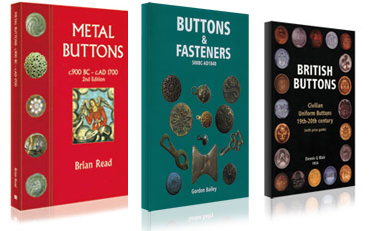 OFFER Buy both Buckles 1250-1800 + Buttons & Fasteners for only £30!